This Saturday’s Secret Rehearsal is brought to us by our favourite moody romantics, The Blackeyed Susans. Formed in Perth in 1989, in their long career The Blackeyed Susans have toured the world, playing with the likes of Johnny Cash and Leonard Cohen. Galvanising around singer Rob Snarski and bassist Phil Kakulas, The Blackeyed Susan’s credits over the years read like a who’s who of Australian alternative music, boasting members of The Cruel Sea, Dirty Three, The Jackson Code, Augie March, The Drones and Hungry Ghosts. Currently, the group features long-time members Mark Dawson (drums), Kiernan Box (keyboards), JP Shilo (guitar/accordion) and Graham Lee (pedal steel). 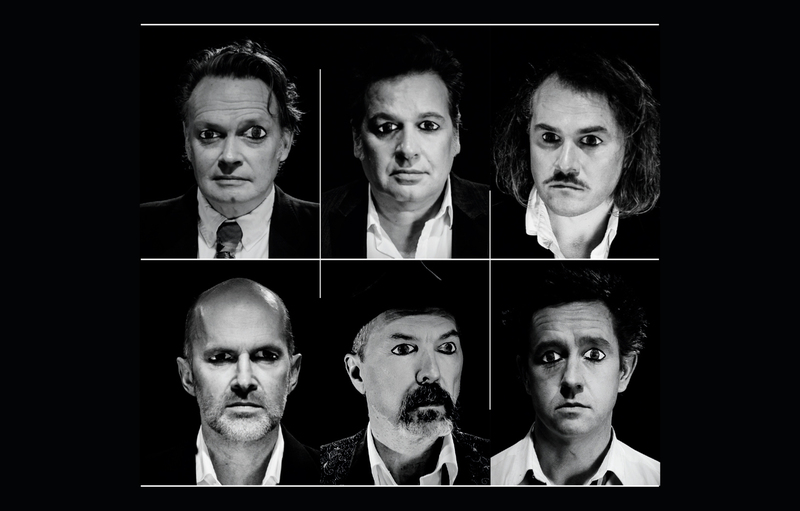 Earlier this year, The Blackeyed Susans released their seventh album, ’Close Your Eyes and See’ alongside Rob Snarski’s memoir, ‘Crumbs from the Cake’. Heralded as a creative renaissance for the band, they completed a sold-out national tour in the months that followed. In the lead-up to the festive season, The Blackeyed Susans will play their annual Christmas shows at the Caravan Music Club (Friday 15 December) and The Spotted Mallard (Saturday 16 & Sunday 17 December), with special guests The Killjoys Trio. At MPavilion on Saturday 9 December, this special secret rehearsal—complete with a sunset backdrop—will bring to the Queen Victoria Gardens a taste of what’s in store.